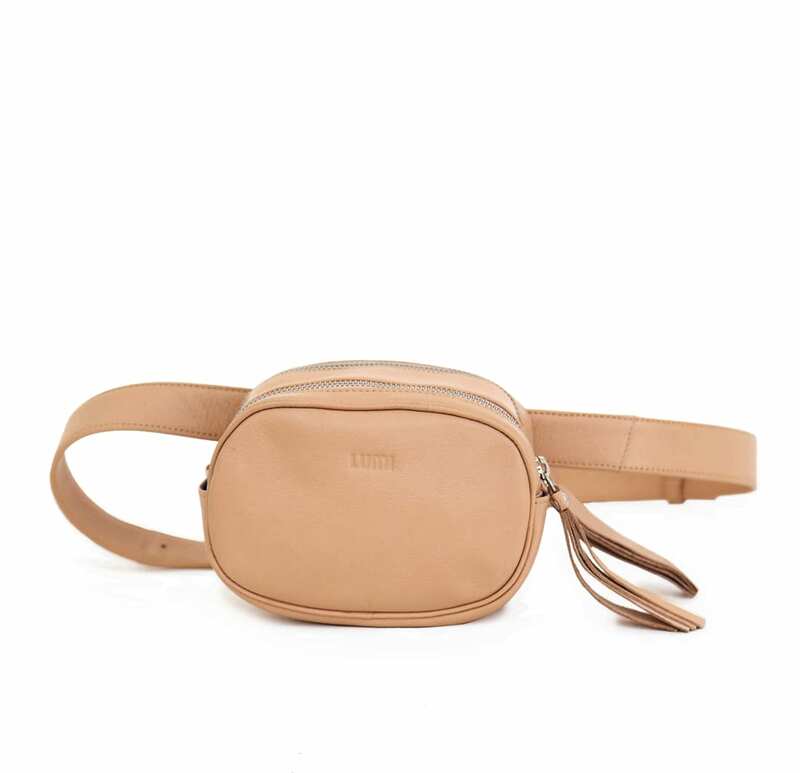 LUMI Noomi Belt Bag, in beige, is made of vegetable tanned goat leather. Chemical free dyeing. 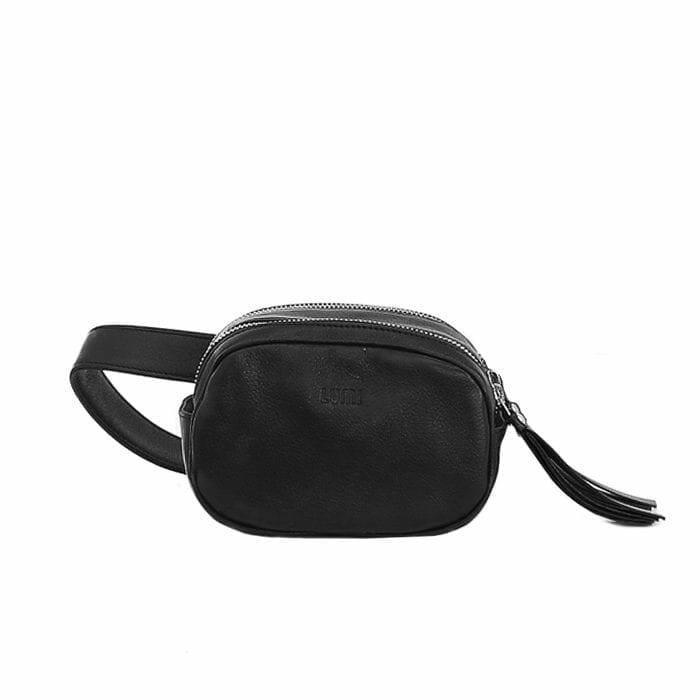 With a versatile design that can be used as a purse, when you remove the adjustable strap. 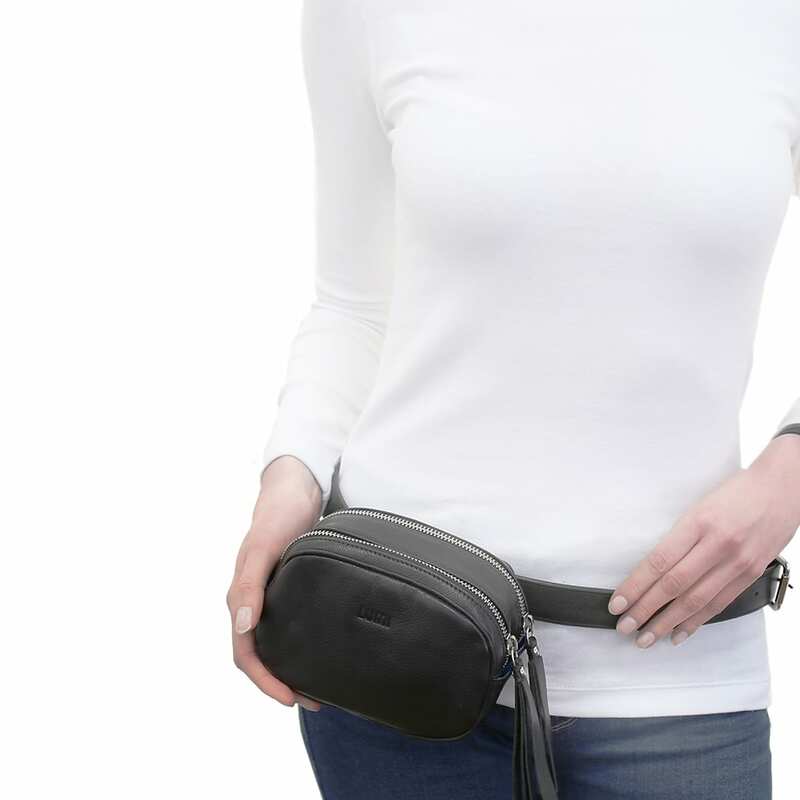 With the strap you can wear it as a cross-body or belt bag, whichever you prefer. 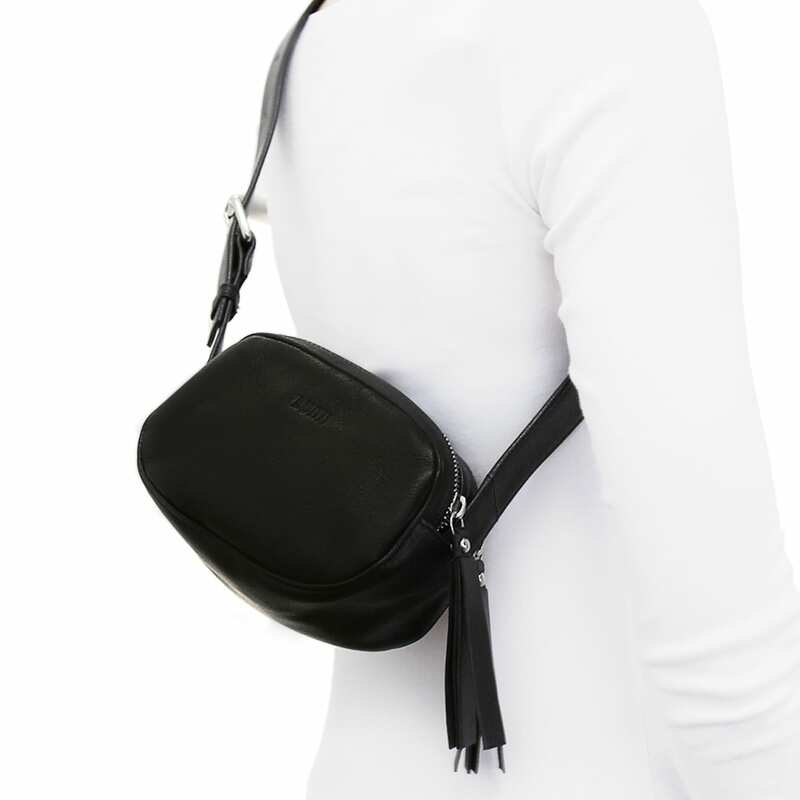 Made from soft goat leather with two separate compartments.